Before the BC family moved to Brisbane 3 years ago, we lived in Sydney, around the corner from my sister. Now we live a 12 hour drive away, in Brisbane. My sister Cheryl Anne and I talk on the phone most days of the week, for about an hour each time. Its a small island of relative calm in our respective casa de chaos’s. Her monkeys yell at her, my monkeys yell at me. Sometimes all I can do is send her an sms. 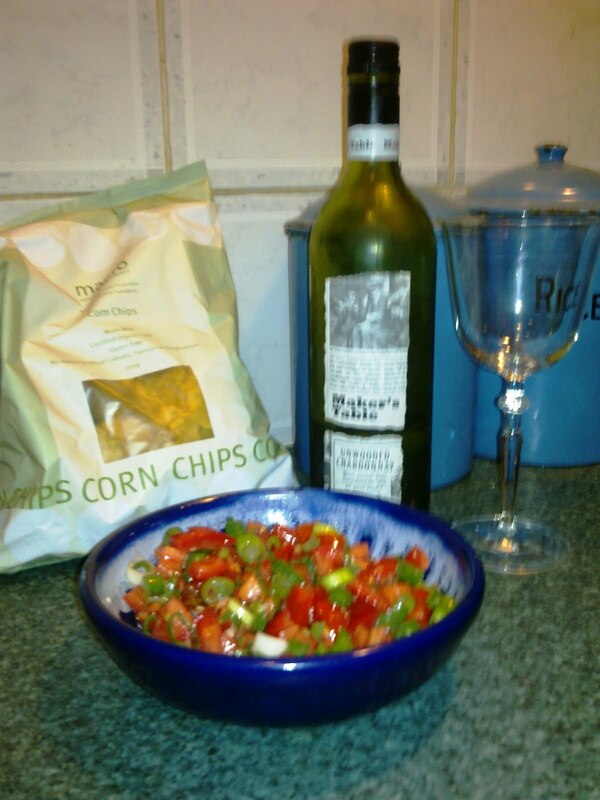 Come over for a vino, I’ve made Salsa. At least she knows Im thinking of her. The word Salsa actually means Salad in spanish, so feel free to mix it up with whatever you like. In America I’m pretty sure they would call this Pico de Gallo, which sounds much fancier. But no one would know what I was talking about in Brisbane.